Are Roland digital pianos worth the money? This article aims to answer that question. 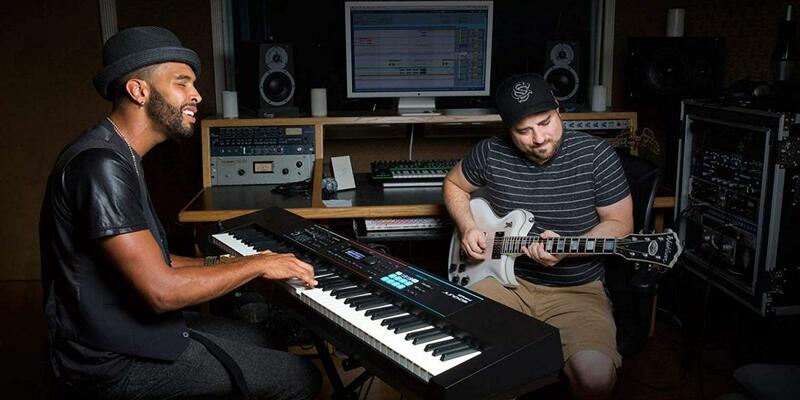 Roland has a long history of creating great electric keyboard instruments. They were founded in 1972 in Osaka, Japan. Since that time, they have focused on manufacturing synthesizers and other electric instruments. For example, Roland’s TD-25KV electronic drum set is top of the line, read about it here. In this article, we will discuss the ten best Roland digital pianos and their pros and cons. Hopefully with the help Of our handy buyer’s guide at the end of the article, you will be able to a pick a Roland digital piano that will work best for you. 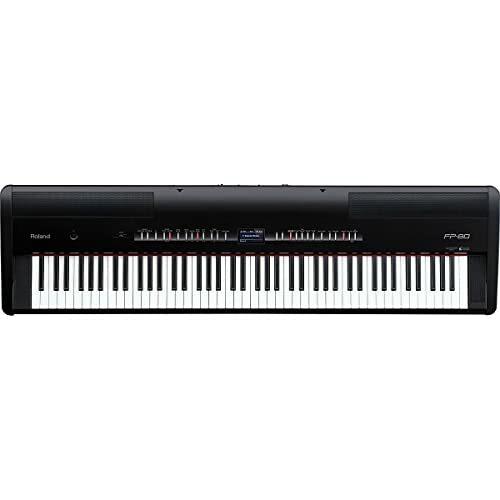 Want help picking a Roland digital piano? If yes, then read on. Features: pro sounds, battery-power, downloadable sounds, wave expansion slot, sample import function, and mic input. Roland’s JUNO-DS88 has it all. It is a great performance keyboard. But, it also has tools for novices. And, the number of different sounds (acoustic and electric pianos, organs, drums, etc.) add versatility to the instrument. Finally, you can even download new sounds for free from Roland’s Axial website. 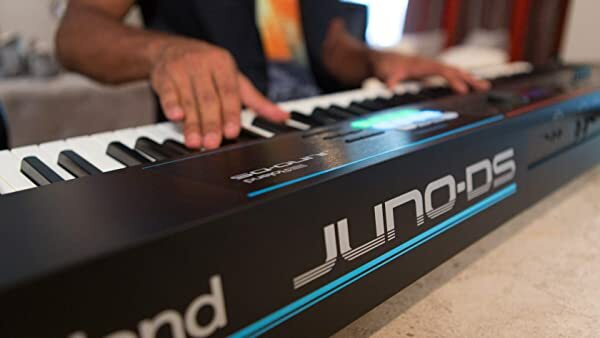 If you want a digital piano that feels like an acoustic piano, the JUNO-DS88 is the product for you. It has 88, weighted-action keys. Now, the keys are lightweight, which is different than an acoustic piano. And, the JUNO-DS88 does not sound like an acoustic. 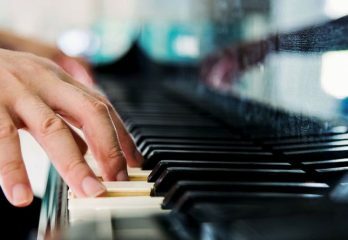 However, the feel is convincing enough to improve your finger technique. 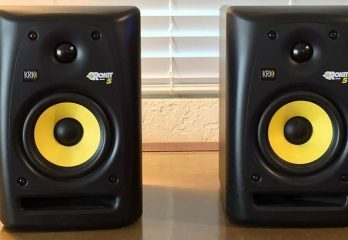 If you want to read more about the JUNO-DS88’s features and pros and cons, visit this article. All the functionality and tools a pro musicians needs. Hands-on knobs and sliders are easy to use. Weighted keyboards feels like an acoustic piano. Lots of versatility for mixing and recording your own music. Not a convincing acoustic piano substitute. No favorite option for the arpeggiator and vocoder. Features: onboard rhythm feature, 305 additional tones, headphones 3D ambience, and wireless and Bluetooth connectivity. The F-140R-CB by Roland has the look of a traditional upright piano. Its small size makes it great for small living spaces. Plus, the contemporary black color make it stand out as a great piece of furniture. But, the weight is light enough to move around rooms or to different living spaces. Yet, don’t expect to take the F-140R-CB to gigs. It is a little too heavy for that. Looks don’t mean everything on the F-140R-CB. This digital piano has the features and sound to back up its stylish looks. There are the 305 additional instrument sounds. Plus, you get 72 different rhythm styles to use as accompaniment. The headphones 3D ambience effect improves the sound of the piano when you are using headphones. Finally, this digital piano is Bluetooth enabled, which opens up a world of other features and usability. Can connect automatically to your laptop or tablet. Sounds like an rich, acoustic grand piano. Lots of rhythmic accompaniment options. A wealth of other instrument sounds available. Headphone and built-in speakers for multiple practicing options. Features: 1,100 tones, seven connectors, eight assignable zones, and eight knows and nine sliders. Roland’s RD-2000 is a stage piano, pure and simple. So, it includes a number of slides, knobs, and other features for professional musicians. This digital piano may be hard for a novice to pick up quickly. However, if you are familiar with stage pianos, you should try one today. 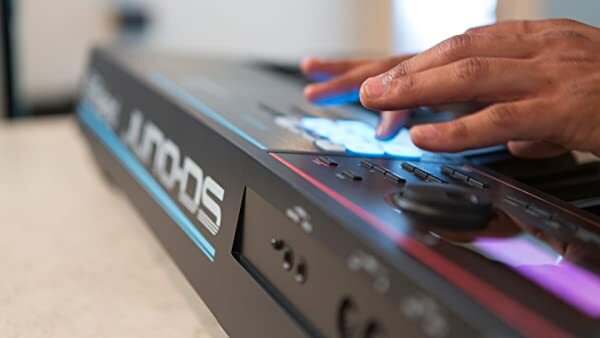 There are two independent sound engines and modern controller features on the RD-2000. This gives you greater control over your sound. Additionally, the eight fully assignable zones add to your layering options. Finally, there is the 128-voice polyphony for the piano tones and additional sounds. You will never struggle to find the correct voice or sound for your song with the RD-2000. One drawback, this digital piano is not Bluetooth enabled. So, you will not be able to download any additional sounds from your tablet or smart phone. Huge number of available sounds and tones. Stylish vintage analog effects built into keyboard. Lots of variability for the stage performer. Bass tones are full and rich. All the knobs and sliders are high-quality and easy to use. Can be complicated to use for a novice. Not Bluetooth or wireless capable. Features: Analog and digital outputs, USB and MIDI ports, four onboard pianos, and custom-fitted iron stand. 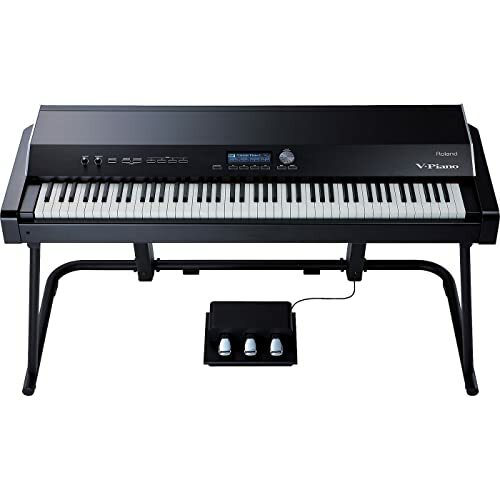 The V-PIANOC is a Roland digital piano that straddles the boundaries between stage and home piano. It is a customizable digital piano option from the company. 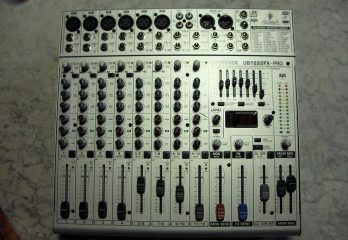 Plus, it has a large number of inputs and outputs for added equipment or sounds. 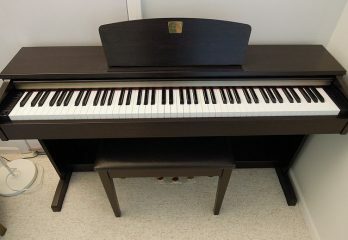 The V-PIANOC has a full, 88-note keyboard with PHA-III Ivory Feel keys. So, it will feel almost like an acoustic piano. And, you have four different piano sounds to choose from. The versatility with this digital piano is amazing. You do not have the layering options of Roland’s stage pianos. However, the V-PIANOC’s stylish design and easy-to-use features are a great addition to any living room. Also, it comes with everything you need to get started playing. And, it doesn’t get much better than that. Stand is iron and very stable. Four different piano sounds to choose from. 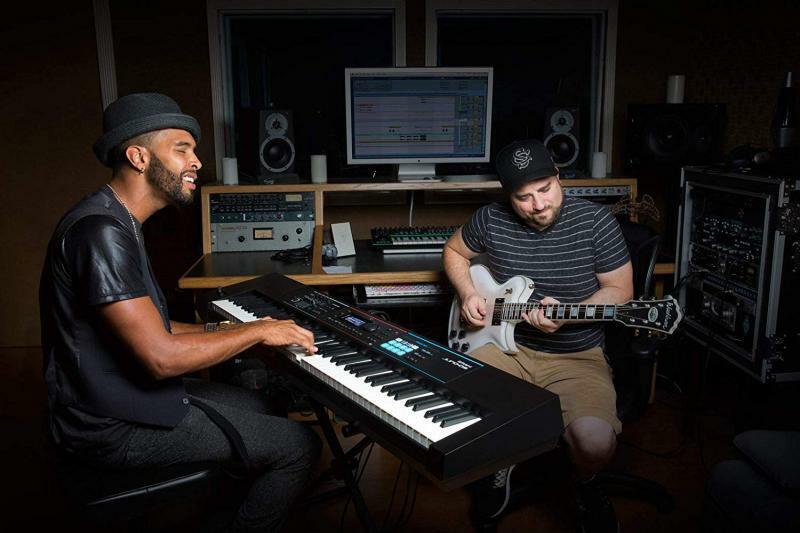 Piano core breaks digital-sampling barrier for high-quality sound. Heavy and not built to travel. 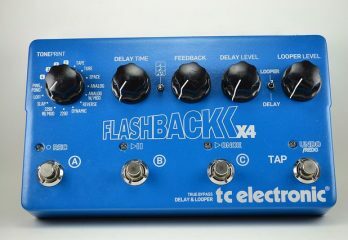 Features: two pedal inputs, split and layer functions, knobs and switches, and octave and transpose buttons. Roland’s A-88 has an 88-note keyboard, just like a traditional acoustic piano. And, the keyboard has hammer-action keys, which make them play you would expect. Also, there is a MIDI keyboard controller on the A-88. Plus, you get sustain and expression pedal inputs (the pedals are sold separately). Finally, the octave and transpose buttons make playing complicated music a breeze. The A-88 is a no-frills digital piano by Roland. It will not have the bells-and-whistles of some of the company’s fancier models. But, this does not stop is from having the tools beginners and intermediates need to succeed. So, if you want a simple and streamlined digital piano, this is the one for you. Keys use hammer action like an acoustic piano. Control are easy to use and clear for beginners. Heavy design that does not travel well. No stand, pedal, or bench included. Features: onboard looper, sliders and knobs, three blocks of tones, seven simultaneous effects and parameters, and drum section. The VR-09 C-Combo Organ is another professional-oriented stage piano by Roland. It gives you a number of real-time controls. 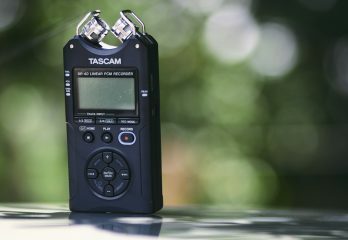 So, you can adjust your sound on stage in real time. These real-time controls include knobs, nine sliders, and buttons. They allow you to control the piano, organ, and other synth sounds in the digital piano. Also, all of the features of this digital piano by Roland are professional-grade. The VR-09 V-Combo Organ comes with a lot of synth tones and effects. You can even layer seven effects simultaneously. Additionally, you receive a built-in onboard looper, drum section, and other features to make professional’s lives easier. Seriously, becoming a one-man band with the VR-09 C-Combo organ is not hard. Oriented towards professionals and live performances. LCD screen is clear and easy to read. Lots of control over the sound. Piano, organ, and synth sounds included. Can save all your favorites and settings. May be too complicated for novices. Features: Sample import function, mic input, three effects, eight0track pattern sequencer. The JUNO-DS61 only comes with a 61-note keyboard. Therefore, this digital piano by Roland is best for beginners and synth performers. You will not be playing advanced piano music with the JUNO-DS61. The JUNO-DS61 does have synth functions that more that more than make up for it’s small keyboard. In fact, there are all a multitude of sounds, including acoustic pianos, electric pianos, organs, and others. And, you get a wave expansion slot that allows you to download new sound waves, which are free from Roland’s Axial website. Finally, the eight-track sequencer allows you to record and loop all of your unique creations. For a small digital keyboard, the JUNO-DS61 has a lot of functionality. Compact and light for easy transporting to gigs. Can choose to run it off of batteries. No extra gear needed to play. Comes with unique vocal effects. Downloadable sounds expand your music. Comes with a large selection of adjustable parameters. Smaller than other digital keyboards. Will not provide an entire range of piano notes. Features: Bluetooth MIDI/USB MIDI interface, Partner 2 app, headphones output, and SuperNATURAL piano sound engine. A part of Roland’s FP line of digital pianos, the FP-10 is small, lightweight, and streamlined. You get an 88-note keyboard with hammer-action keys, a music rest, and pedal switch with your purchase of this product. Plus, there are onboard speakers to prevent you from having to purchase other equipment. The FP-10 has Bluetooth MIDI and USB MIDI capabilities. So, you can interface with garage band, your computer, and even DAW software. The sky’s the limit with the FP-10. Additionally, Roland provides the Partner 2 app with your purchase of the FP-10. This app gives you the ability to select extra sounds, set up a metronome, and perform other functions directly from your smart phone. Partner 2 app expands what can be played. Sounds like an acoustic piano. Lots of available optional accessories. Does not have the bells-and-whistles professionals need. Sound is a little synthetic. Roland’s FP-80 is a larger model of the FP digital piano series described above. It is small and light. So, this digital piano can be moved from home to gig easily. It comes with an 88-note keyboard that uses Roland’SuperNATURAL Piano sound engine. This digital piano plays and sounds like an acoustic. The FP-80 has a lot of compatibility with Roland accessories. For example, you can purchase the DP-10 damper pedal or KSC-76 stand. However, all of these accessories have to be purchased separately. Finally, the FP-80 comes with features that help the home and stage performer. There is the mic input for singers. Plus, the digital piano comes with 90 types of rhythm and a harmony effect. So, everything you need in a digital piano you get with the FP-80. Design is simple and easy to understand. Inputs and outputs for expanded playing and headphone practicing. May be too large for some people. Not a lot of functionality. Features: Bluetooth connectivity, Partner 2 app, SuperNATURAL piano sound, and three pedal controls. 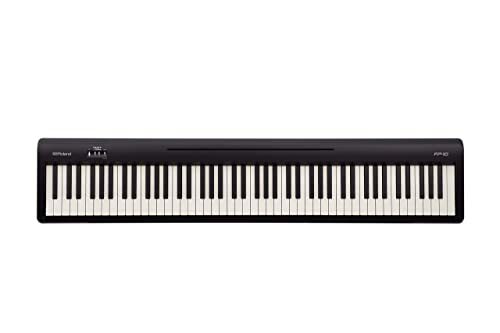 Roland’s RP102 is another stylish and function upright digital piano. It uses SuperNATURAL piano technology on its 88-note keyboard for a realistic acoustic piano sound. Plus, the RP102 has features designed to help beginners learn, including the 200 onboard songs. The RP102 comes with the traditional three pedals. And, because it is a digital piano, you do not ever have to worry about tuning and maintenance costs. Therefore, the RP102 give home pianists the best of both worlds. You get the look and feel of a traditional acoustic upright with the affordability and functionality of a digital piano. But, keep in mind. The RP102 is larger and heavier than stage pianos. You will not be able to easily take this digital to gigs. If you want a digital piano, you should look at some of the other products on this list. Compact design to fit anywhere. Perfect upright for beginners or lessons. Keyboard and sound just like an acoustic piano. Does not need to be tuned or maintained. Is not a travel-ready digital piano. Frame is not very durable. 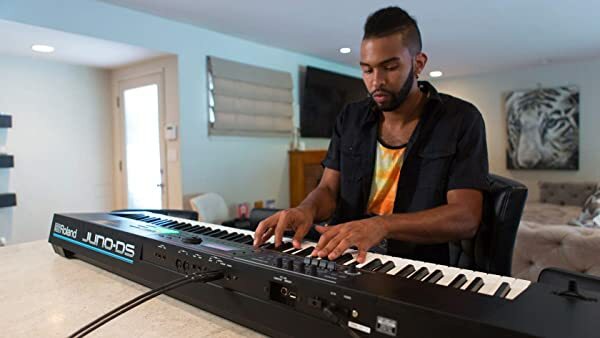 Knowing what to look for when purchasing a Roland digital piano will help you make a good decision. Keep the following feature in mind as you look through Roland’s catalog. Most importantly, you have to decide what type of digital piano you want. Roland manufacturers grand pianos, upright, digital upright, and digital stage pianos. Each of these types comes with its own pros and cons and features. Knowing the type of piano you need will help you narrow down your choices. 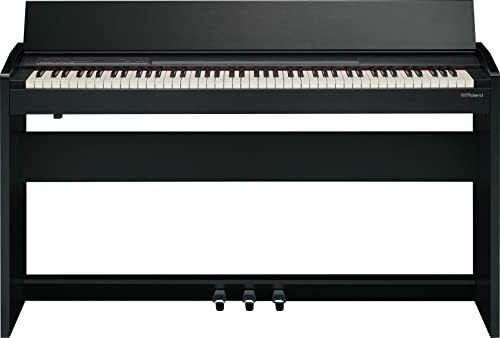 There are two main types of Roland digital pianos described in this review: upright and stage. Upright digital pianos are designed to look like upright acoustic pianos. And, Roland makes them small and streamlined. However, they are heavier than stage pianos. Therefore, they are best used in a home. On the other hand, stage pianos are designed for working musicians. They are small, lightweight keyboards. 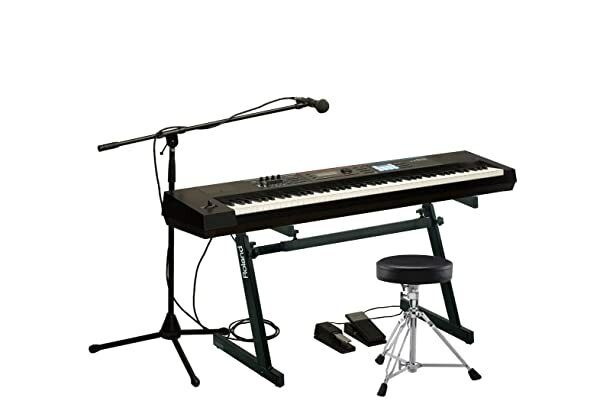 Often, Roland makes you purchase the keyboard stand separately. These types of digital pianos may also not have a built-in speaker. So, you will need to use an amplifier or speaker with them. As with most instruments, Roland’s digital pianos vary in price. Roland manufacturers high quality electric instruments. So, their products will not be at the lower end of the price spectrum. However, you can spend a lot on their digital pianos. So, you should be aware of your budget when you purchase a Roland digital piano. Also, knowing the exact type of features you need in your digital piano will help. If you are not a professional musician, you likely don’t need the top-of-the-line Roland digital pianos. Therefore, you could potentially save money by knowing the type of product you need. Most of the keyboards discussed in this review have the traditional 88 keys. However, some are much smaller. In general, the full keyboard is not necessary for beginning pianists. But, if you want to transfer your digital piano technique to an acoustic piano, you should look for a 88-note keyboard. The type of key action the keyboard uses is also important. 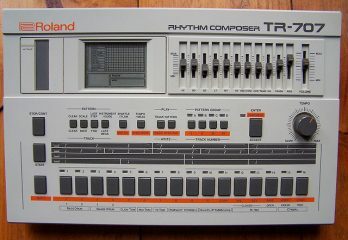 Some of Roland’s digital pianos used hammer-action like an acoustic piano. However, Roland, also has other piano sound engines to recreate the feel and sound of an acoustic or electronic piano. So, the type of keyboard action you choose depends on your preferences. All of Roland’s digital pianos sound good. However, not all of them sound like acoustic pianos. If an acoustic piano sound is important to you, you will need to look for the Roland products that attempt to recreate that sound. On the other hand, some of Roland’s products come with a large number of synthesized sounds. This feature is perfect for musicians who play a variety of music. Or, if you use your digital piano to compose music. For these types of musicians, the more sounds possible, the better. 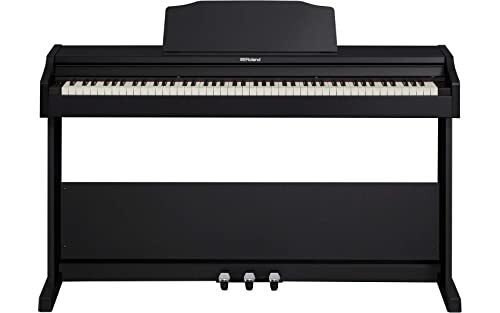 Also, you may want to look for a Roland digital piano that has Bluetooth connectivity. This feature allows you to download new sounds to your digital piano. 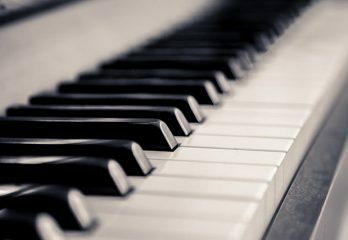 Thus, if the number of sounds your digital piano can play is important to you, you should look for one with Bluetooth. Roland has an amazing reputation as a maker of digital pianos for a reason. The company’s long history has been designed to improve on their electric instrument’s quality and functionality. Today, when you buy a Roland digital piano you know that you are getting a reliable, durable, and great sounding instrument. But, there are a lot of differences between Roland’s different digital piano lines. You should keep our buyer’s guide in mind as you make your choice. 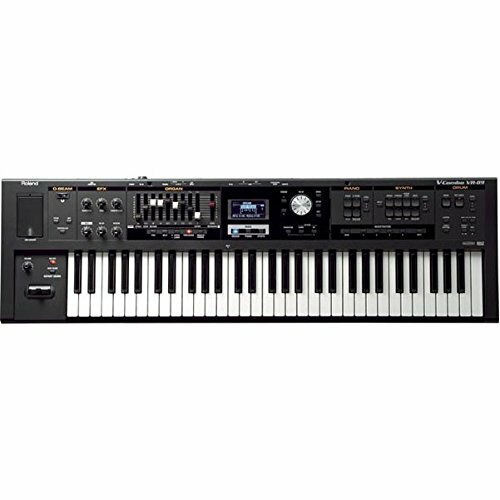 Then choose from one of the ten best Roland digital pianos we listed here. You will not regret your decision to go with a Roland.